Industrial touch screen panel monitors are used by businesses in Australia and around the world to complete everyday tasks faster and more efficiently. These devices are designed to operate in regular or demanding environments, providing reliable and consistent display solutions through their combination of special construction and industrial components. Industrial touch panel monitors are highly cost-effective and efficient. They are engineered specifically for harsh production environments and built using high-quality industrial components ensuring reliable operation 24/7. Their ability to withstand dust, dirt, debris, humidity, shock, vibration and temperature extremes is what makes them a preferred option for these type of environments. Constructed using a fanless system, industrial monitors are suitable for use in sterile and hazardous locations. 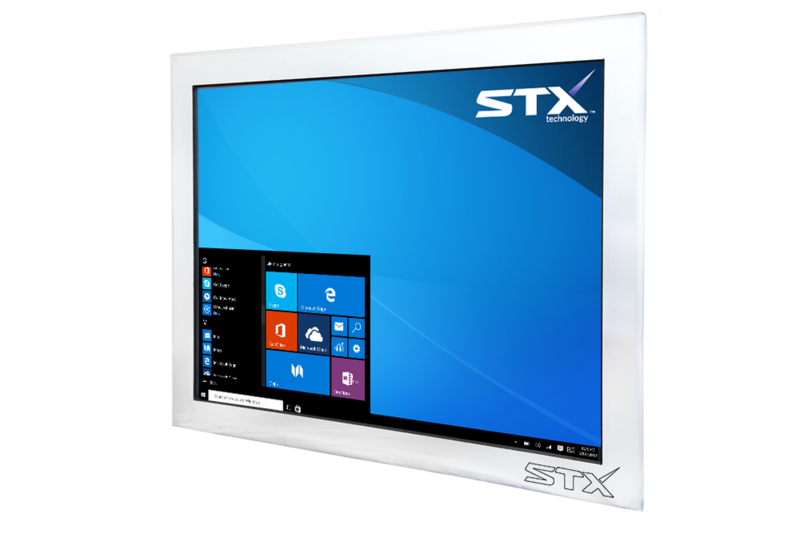 STX Technology’s Panel Monitors are available in a range of screen sizes providing multiple options through a range of locations. With a choice of Resistive (RT) and Projective Capacitive (PCAP) touch screens, these products have a wide viewing angle and lifetime usage of over 100 million touches. All panel monitors manufactured by STX Technology come in a tough enclosure manufactured in Stainless Steel (304 or 316 grade) or Aluminium. They are available in a variety of finishes: Brushed, Highly Polished or Matte Black. To ensure the maximum level of productivity and usability, different brightness, connectivity and mounting options are available. STX Technology also offers a selection of accessories including a range of mounting options. All panel monitors come backed up by the local support. Our Australian-based team of professionals can help you to choose the right industrial monitor for your business application and environment as well as guide you through the purchasing and installation process. Established in 2002, STX Technology is a leading New Zealand manufacturer of Industrial Touch Computers and Monitors. Working with companies in Australia and around the world, STX Technology provides innovative and cost-effective solutions. Contact the STX Team today to request a quote or to find out more about our product range.